With the drop in price of portable storage, gone are the days where anyone should not be backing up their valuable personal data, such as photos, taxes, etc. Cloud-based technologies indeed provide convenience for backup and transporting files, but you are hard pressed to find large capacity at low dollars. On average a subscription fee to a cloud storage provider runs in the neighborhood of $50 - $100 a year. An external hard drive provides a cost effective solution in maintaining a backup, in the event that something should happen to your original data. But Mike, my computer is less than a year old. Shouldn’t my hard drive be safe for at least a few years? In an ideal world, yes. Nothing would ever break down, and user error would be unheard of. The fact of the matter is we need to protect ourselves. According to an article by Lifehacker (http://lifehacker.com/how-long-your-hard-drive-is-likely-to-last-1462918832) , 80% of the average consumer hard drives will last four years. The issue is hard drive failure is not the only reason why you should be backing up. Uncontrollable events such as viruses/malware, a power blip that causes data corruption and accidental deletion are systematic events outside of our control. Ok, you convinced me. I went out and bought a USB hard drive. I should just plug it in and start copying…right? As most drives come pre-formatted, you could do that, or perhaps give a little bit of thought as to how you want to use this new-found storage. I always recommend people take the extra few seconds prior to using the drive to assess how you will use it. Will you require access to the data on multiple computers? Will those computers use different operating systems such as Windows, OSX, or Linux? After you have answered those quick questions, you should probably format the drive yourself using one of the format methods (please refer to: http://en.wikipedia.org/wiki/Disk_formatting for more information on formatting drives) that best suit your needs. This can help best avoid other problems with accessing the data later on. My drive is ready for action. How do I get my files over? If you know which files are vital, and are savvy enough to know where they are, a simple copy/paste will be sufficient. 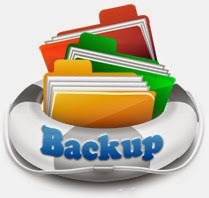 If you want to take the added step towards a better guarantee, using the built-in Windows application File Recovery (Win 7) or File History (Win 8) to create a system image will backup your entire system. The best method (and one I recommend to all Windows users) is to use Windows Backup. This will create daily, weekly, and/or monthly backups for you to your newly connected USB drive. Simply go to your Control Panel, and click on Backup and Restore. Best of all, your computer is now responsible for backing up the data. Now that you have setup a file backup regime, it does not mean that you can simply forget about the care of your data. You should still ensure that you have a good quality and up to date anti-virus / anti-malware program installed onto your computer to prevent any future damage to your system. On top of that, you might find it worthwhile to transfer the backed up files to another location on occasion such as a second portable drive, or another computer. This will ensure that you still have a copy should the ones on your original computer become corrupted and you either lose or break your backup. On a side note, a lot of portable drives from reputable manufacturers come with pre-installed, and proprietary, software. Although the functionality of the software is relatively sound, I typically shy away from using it as if you are required to use the drive on more than one system; it means you will need to install the software multiple times. Often it is bloat-ware, and with the backup function built into most operating systems anyways, the majority of the time the software found on the drive is simply not required.